Do you remember the last time you were really, really sick? I'm talking puking your guts out, here - writhing on the bathroom floor in agony as your stomach tries to find the very last piece of bile left in your system. Remember? Well now transplant that bathroom floor to the dusty Outback, on your hands and knees in the dust and prickles, 32 degree heat, no shade, dry retching. That was me yesterday, courtesy of a dodgy barra burger at the Daly Waters pub, a popular watering hole about 600km down 'The Track' as the locals call the Stuart Highway between Darwin and Alice Springs. I just wanted to curl up in a ball and die quietly, but unfortunately that wasn't an option in the middle of nowhere so we had to keep going until we could find a motel room where I could lie in air-conditioned comfort and feel sorry for myself. 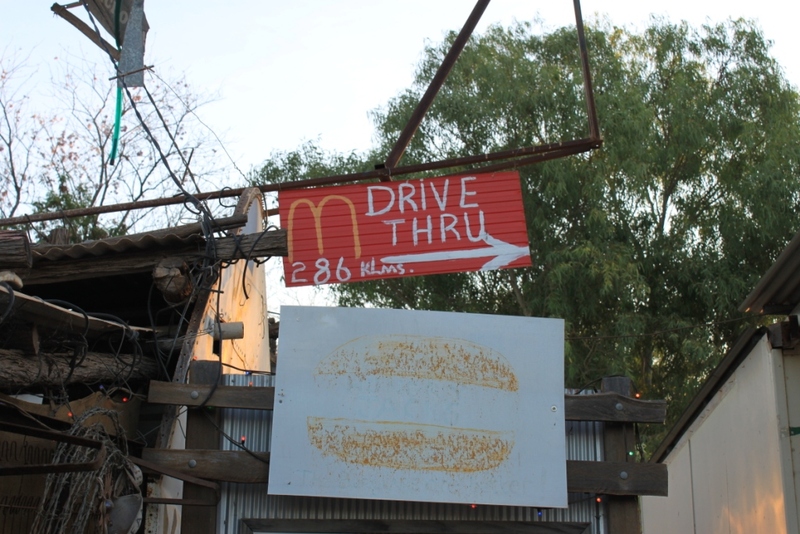 There was one just down the road, actually - well, 500km away, which is just down the road around here. It took nearly five hours even at the speed you're allowed to drive on the open road to get to Tennant Creek, where I'm now propped up in bed while Katie fusses over me. You can travel at 130km/h in the Northern Territories on some of the highways. Until yesterday, we'd stuck to 100, mostly because the cruise control I self-installed resolutely refuses to go any faster (I reckon it was made in NSW) and I can't be bothered sitting with my foot on the accelerator all the time. ﻿﻿But yesterday we felt an exception needed to be made. The road stretched in a thin straight line until it met the horizon, shimmering in the heat. Other vehicles roared past us as if we weren't even moving. In this landscape, at the legal open road limit in New Zealand you seriously feel you could get out and walk alongside the car for a bit to stretch your legs. So we had a little chat to Chuck the Truck about going a bit faster, and it turned out that while he wasn't overly keen on 130km/h he was happy enough with 120. After leaving Darwin a week ago, we headed through Litchfield National Park, which was absolutely jammed with NT weekenders making the most of the amazing waterfalls and plunge pools to beat the heat. 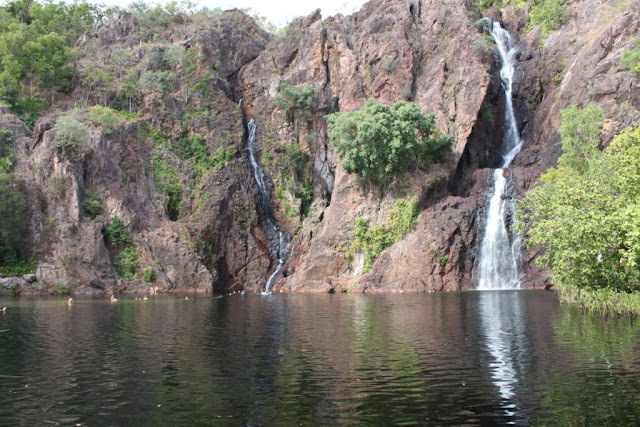 We couldn't help comparing Litchfield to Kakadu, the NT's two famous national parks. The conclusion we came to was this: If you like swimming and waterfalls, go to Litchfield. But if you want grandeur on a truly large scale, then Kakadu is for you. 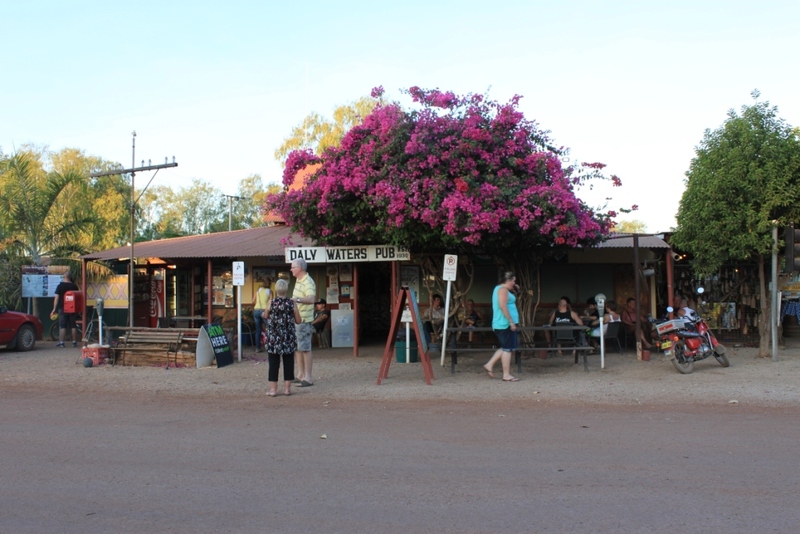 We're now only around 400km south of the Red Centre, Alice Springs, which is as far south as we're going on this roadie before we turn and head up through the Tanami Desert to Halls Creek and the amazing Kimberly, home of the infamous Gibb River Road. Well, I hope it's infamous. I do like a challenge.